Although we had no complaints about the food at our first visit to the Easy Pour Wine Bar, the service left something to be desired. It’s not a high-end, white-linen place; we weren’t expecting anyone to hold our chairs as we sat or to be given a complimentary amuse to start. But we did expect familiarity with the menu, as it is a bit of an unusual one. It has a list of items “to share”, then some salads, then flatbreads, then a small number of “heartier plates”. So it wasn’t as clear as at appetizer / entree / dessert restaurants how much to order from each category. We needed guidance, and we didn’t really get it. And it didn’t help the situation any when Jean asked which cheeses were included on the cheese plate, and the waiter didn’t know, and then seem quite startled that Jean expected him to go to the kitchen to find out. Hence the rather large gap since our last visit. But when some friends wanted to go out for dinner, we thought we’d give them another chance. And fortunately, we had a much more “on the ball” waitress this time out, who opined correctly on the amount of food we’d ordered, steered in a different direction when we ordered two rather similar items, and gave some good wine suggestions. 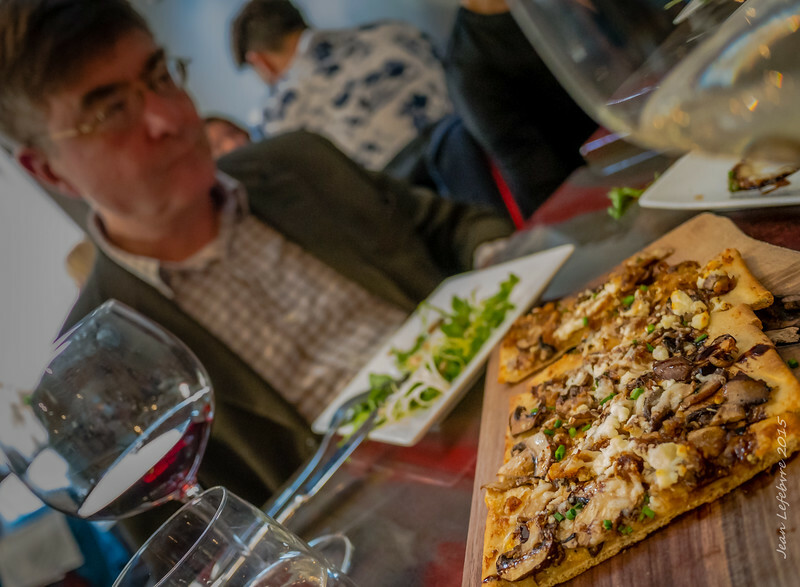 We decided to share everything, picking among the “to share”, salad, and flatbread categories. We started with the Mixed board, a nice selection of cheese, olives, deli meats, bread, and crackers. Everything was really tasty, good texture, temperature, and presentation. Our additional request for a special that day, oysters roquefeller, was apparently not heard, but just as well, as the above was enough food, and then most of us had room for dessert. 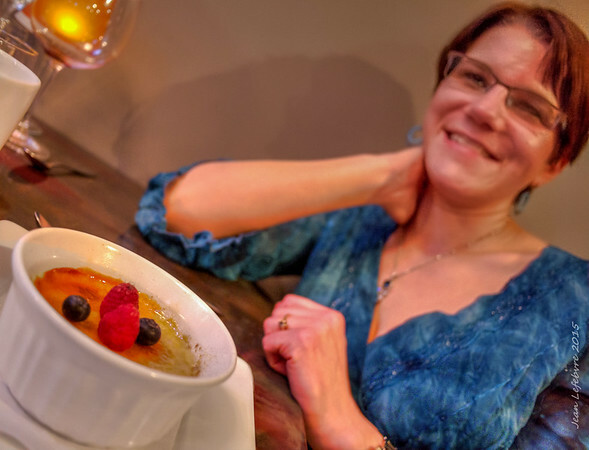 I had the pumpkin creme brulee, which was light and delightful, and Jean went for the more hardy sticky toffee pudding. Nice night out. Good to know the service issues aren’t chronic. 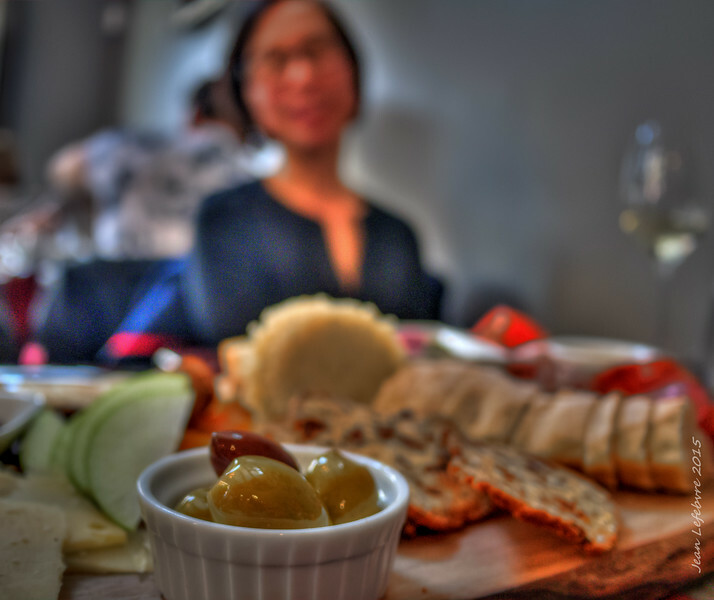 Categories: Food | Tags: food, photography, restaurants | Permalink.